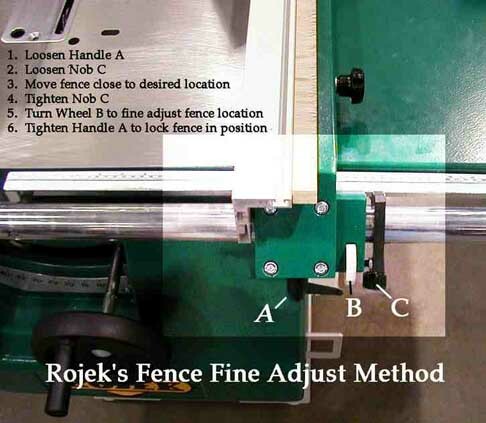 The X-31, like the saw blade height adjuster, has a Nudge & Bump rip fence which is tricky to set precisely, or to tweek a setting just a tad. Here are some examples of possible modifications which might rectify this shortcoming. 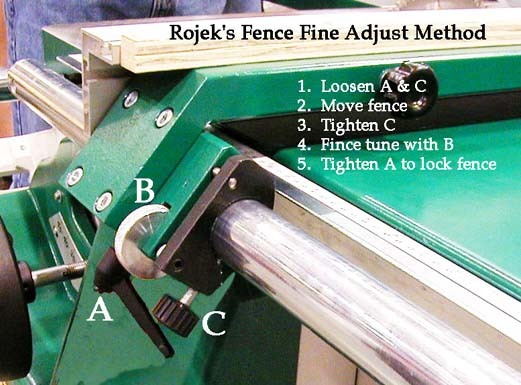 Here's a commercial product whose idea could be adapted to the X31 rip fence.